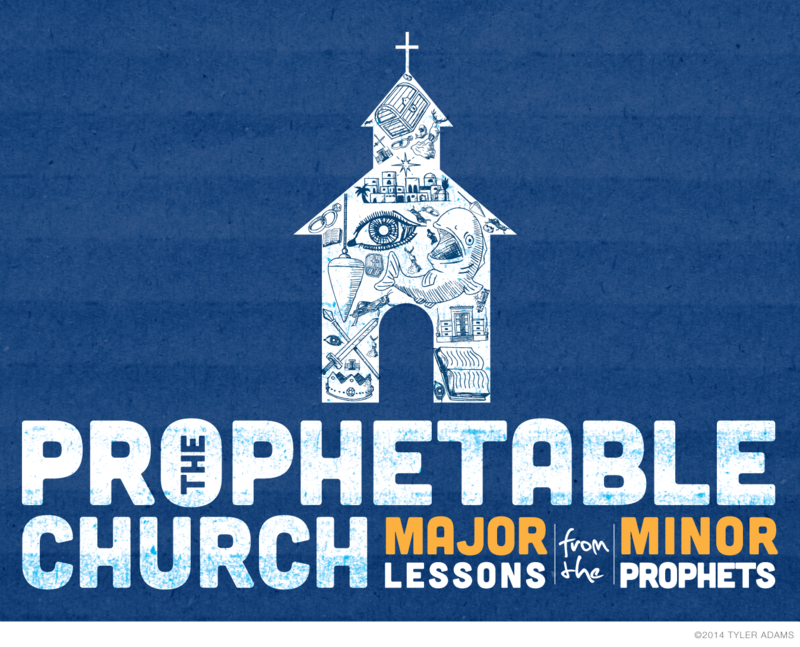 This week Golden Hills Community Church is beginning a new sermon series called The Prophetable Church: Major Lessons from the Minor Prophets. Designing for this series presented some challenges. 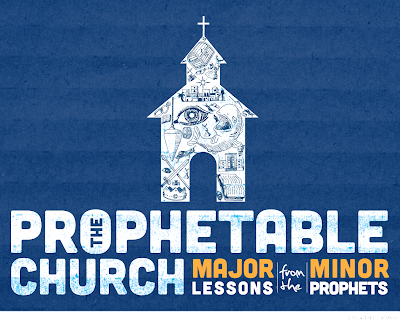 How do you come up with one image to encompass 12 different prophets, each telling their message in a different way, with mountains of symbolism in each book, and all tying it together to the modern church? Instead of coming up with one image to represent those things, I just decided to show all those things. I had this picture in my head of 12 icons (one representing each prophet) grouped together to form the image of a church. 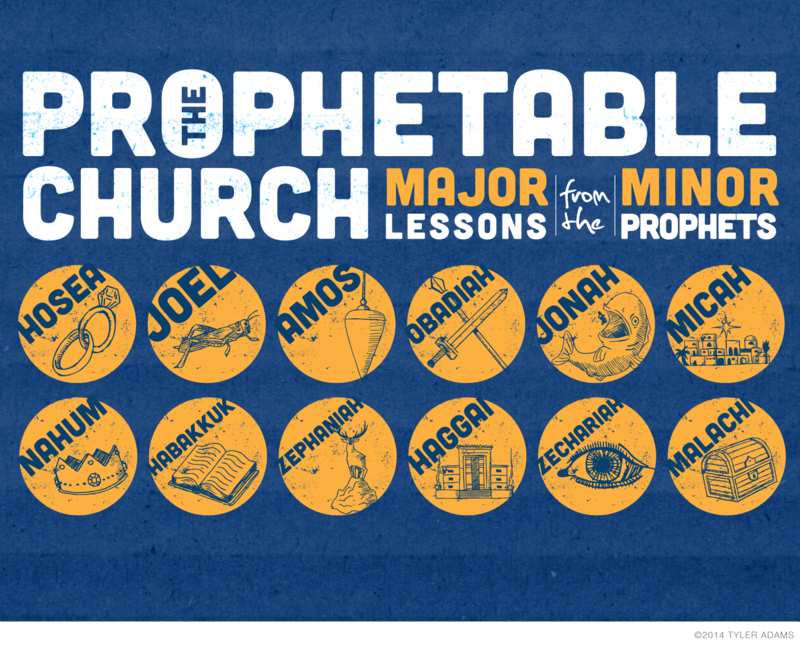 So we finally were able to nail down 12 images to represent each prophet. Whether it was an important symbol from their book, a theme, or a key image, we settled on 12. I spent some time drawing out the symbols until I felt they all had a similar look and style. I then placed them sporadically throughout the shape of a church and I had my image! Here are the 12 icons that I came up with.